The British colonized India for over 250 years. 'The jewel of the crown' was a prized possession for them since it was not only a perennial source of unlimited income but a vast dump yard of British products to be sold. 'Wisely' the British also used the poor Indian labour in their overseas plantations, mines,construction sites ....like in Fiji, Guyana, South Africa , Far East and else where under deplorable conditions. Indians fought two world wars for their masters! Many British officers- military, civilians and others- came to India to serve their Govt from time to time during this period to ensure successful execution of their blueprint. They 'thoughtfully' trained Indians to work for them against interests of own Indians and India , forming Police forces and Indian civil service and the like , expenses met by collecting taxes from India! In that way they could always reduce the presence of their numbers in India. On an average I think the ratio of British to Indians was only 1 :10000 during the colonized period and yet the British ruled ! But there are a handful of British who came to India on their own missions but fell in love with India, Indians and Indian culture. Some of them never went back to their parent country instead died in their newly adapted country serving the very ordinary people to the extent fighting with their own country's policies and Govt. C.F Andrews was one among those rare breed . A salute to another 'non Indian' who did a major role for the Indian independence and social reforms....the least was his contribution for the development of St Stephens College , Delhi , one of the best learning institutions of India . That's the year C.F Andrews came to India . Being an English priest his mission was propagation of gospel of Christ among a population of predominantly Hindus and Muslims and to teach Philosophy at St Stephens College, Delhi although religious conversion was not a priority of the British in India unlike the Portuguese. Few years passed and for his own reasons he started to mix with more Indians than the British. Naturally he understood the problems faced by the Indians in a colony, at the same time understood the very culture of the people . That was a time idea of freedom struggle taking shape . Initially the Indians thought he could be a British spy and later the British thought him to be a traitor! Eventually he was trusted by the Indians as he focused on the plight of Indian labour.Possibly initially his interaction with personalities like Gopal Krishna Gokhale, a national freedom fighter through peaceful means and a social reformer and Rabindranath Tagore, the Nobel laureate in Literature and another freedom monger, influenced him and his outlook. By 1912 he was an active pro Indian. He never proselytized but was prepared to serve the people without that!! Spinning wheel, loin cloth and goat's milk ! In 1913 when the problems of Indians in South Africa was at its peak, he volunteered to go there to help the Indians. This is how he met Gandhi.Like a host of many other foreigners he was attracted to the personality of Gandhi and his spinning wheel,loin cloth and goat's milk! Their friendship grew over the frictions between Britain and India had to face during the following years mainly because of Gandhi's principles on ahimsa - non violence. Andrews honestly believed that Gandhi was a true Christian by practice although not by belief. This reminds me my sister Isha when she was six or seven years old shooting a naughty but innocent question to our appa (father) while in a family chat those days. " Would Mahatma Gandhi have gone to heaven in spite all his good deeds but remaining a Hindu ? " Appa answered in the affirmative. Andrews helped Gandhi set up the ashram there, publish his magazine-The India Opinion and was instrumental in bringing Gandhi back to India in 1915. Indentured or bonded labour from India used to be taken to Fiji by the British to work in the plantations. Their working and living environments were often degrading even leading to molestation of their women .This is where Andrews fought with the authorities and found tangible results. He was twice elected as President Of All India Trade Union Congress and in 1931 accompanied Gandhi to England for the first round table conference. He was a member of Shantiniketan, the Institution of Tagore and once adorned the position of the Vice president. Royalty received publishing books were donated to various good causes including for Shantiniketan. He interacted successfully with all the then social reformers of India from Punjab to Kerala, Maharashtra to Bengal and contributed to root out many social evils practiced by the people. Witnessing his selfless devoted service among the poor he was known as Deenabandhu - Friend of the poor. All these years his friendship with Gandhi was very intimate . He is the only person who has called Gandhi by his first name "Mohan" ( Mohandas Karam Chand Gandhi was his full name) ! And Gandhi used to name him as " Christ's Favorite Apostle for the initials of his name - CFA which actually stood for CF Andrews!! 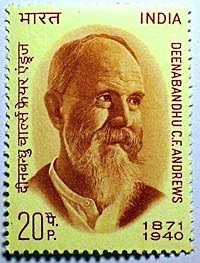 Andrews died at Calcutta of an illness in this year. 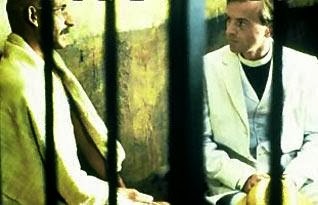 Gandhi had said that day " I have not known a better man or a better Christian than CF Andrews". I am sure that Andrews would have said the same vice versa had Gandhi gone out of this world first! I had the fortune to interact with hundreds of people of different faith or no faith, coming from different parts of the world , from different cultures, practicing different trades and professions all these years, it remains a bare fact that good and bad people are there everywhere although I have observed that the percentage can differ.